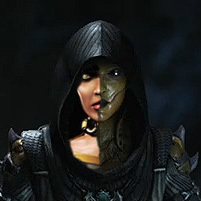 This theme for Kitana, titled 'Broken,' is rather cinematic, meant to capture the many layers of her character, from her former regal position as Edenia's princess, to her newfound fallen title as Empress of the Netherrealm. I'm hoping it can all be heard well. This is probably my second favorite theme of the ones I've written for MK11, after Geras' Theme.